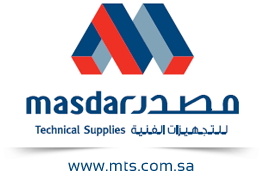 Home/Subsidiaries/Masdar Technical Supplies Trading Co./Masdar Technical Supplies Trading Co. The company founded 30 years ago, and considered one of the approved suppliers with Saudi Arabian Oil Company (ARAMCO), and Saudi Basic Industries Company (SABIC), in addition to some other mega contracting companies. 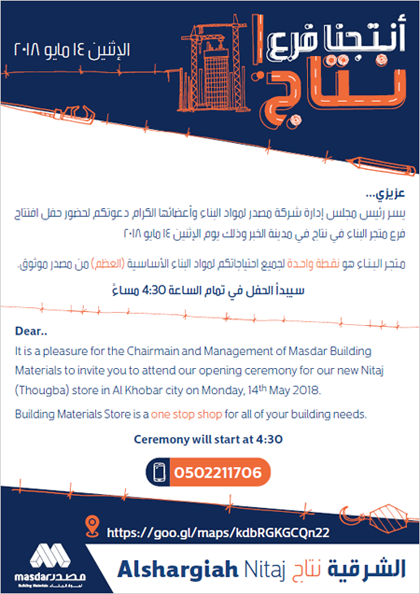 Masdar Technical Supplies Company is one of the leading companies in the field of producing and trading in many type of screws and stabilizers, it continued its growth by adding the field of industries to its activities by acquiring Saudi Bea Company in 2007. Currently the company owns 19 sales outlets around the kingdom, in addition to 3 main warehouses in Jeddah, Riyadh and Dammam. The company has the largest amount of stock from stabilizers and fittings in the Middle East, in addition to a wide range of steel stabilizing items, Stainless steel, cooper stabilizers, aluminum stabilizers, plastic stabilizers, zinc coated stabilizers, hot gallivanting stabilizers. Masdar also is fully read to fulfill the customer’s other needs upon requests within shorter periods.